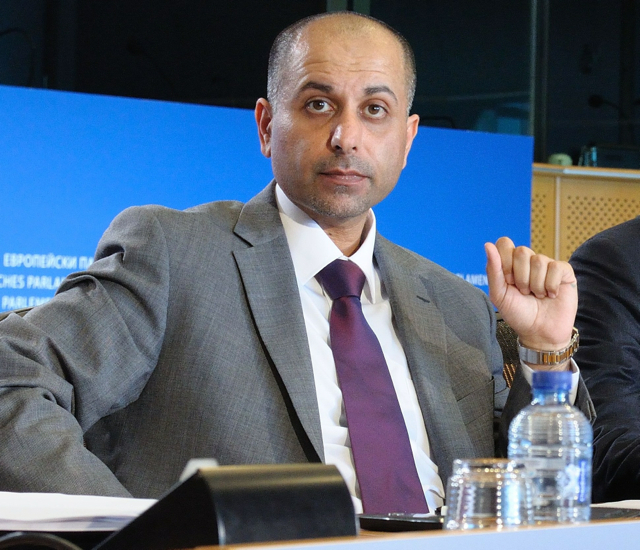 The conservative ECR group has proposed Sajjad Haider Karim, who in 2004 became the first British Muslim MEP, to be the next European Parliament President. However, the candidacy appears to be a long shot. Sajjad Karim, nominated as European Parliament Presidential candidate by the European Conservatives and Reformists’ group (ECR), has written to the leaders of all the main groups in the European Parliament seeking their backing. He said that the image of the EU in the world had been tainted by the recent European elections, with the rise of extremist parties. “I ask the group leaders: is it not now time to reinstate our values of tolerance, acceptance and diversity”, writes Karim, who was born in Blackburn, Lancashire, of Pakistani descent. He adds he is relying on a track record of 20 years experience, as an elected public official, 10 of which have been served here in the European Parliament. “I have served diligently working across groups and political divides always seeking consensus and delivery,” writes Karim, who was elected in 2004 for the Liberal Democrats, but joined the Conservative Party in November 2007. Karim has championed developing and facilitating international trade between the EU and the wider world and has been a key player in the development of the EU-India Free Trade Agreement within the European Parliament. He has also been active in human right issues, including by raising the matter of the alleged CIA renditions and secret prisons. However, the candidacy of an MEP proposed by ECR may be a long shot. In recent years, the election of the European Parliament President has been a deal between the centre-right European Peoples’ Party and the centre-left Socialists and Democrats, who have split the two-year term in two and use to alternate their representatives for the job. Pat Cox, an Irish liberal, has led the Parliament from January 2002 to July 2004. The Tories are also hardly in a position to be given any “presents”, as their leader David Cameron is opposing the election of Jean-Claude Juncker for Commission President. As a leading candidate of the of the centre-right EPP group which won the European elections, Juncker should be given a mandate to form a majority to back him in the European parliament. The mandate of the present Parliament President, Martin Schulz, expires next month, when two sessions will be held from 1 to 3 and from 14 to 17 July, at which the new European Parliament is expected to elect its next President, and other new leaders. If women have human rights then maybe but actually seen the situation about “islamic” stoning laws i think the parliament needs a neutral President and not a “i will Islamic” one ! He’s not a flag carrying rabble rousing extremist Islamist! he is a member of Parliament who just happens to be a Muslim, It didn’t take long for the stereotype haters to start picking on someone’s identity card to mute his message & that of his party. I’m no fan of Islam but if you listen to him speak rather than the colour of his skin & faith you might then look in a mirror & see a bigot. A British Pakistani muslim for EU PM. Yeah right! Curse my pagan soul! Yes Joe you’re correct! But as seeing the situation actually ! Why do I have the feel that you enjoy this ? See FN Le Pen in France !